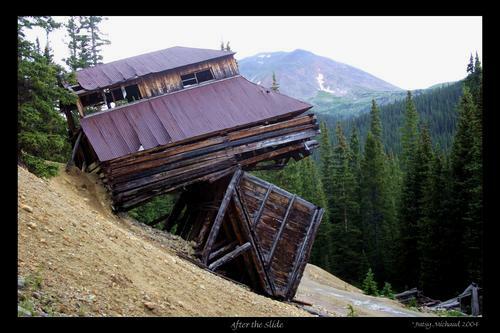 'After the Slide' by Patsy Michaud - DPC Prints! This vintage log structure balances precariously above the road from St. Elmo, Colorado to Hancock Lake. This photograph originally appeared in the Balance Challenge.